You play in a cover band, and you want to learn new songs with the band, but do you have problems with a certain difficult solo, which you can not understand in any way? 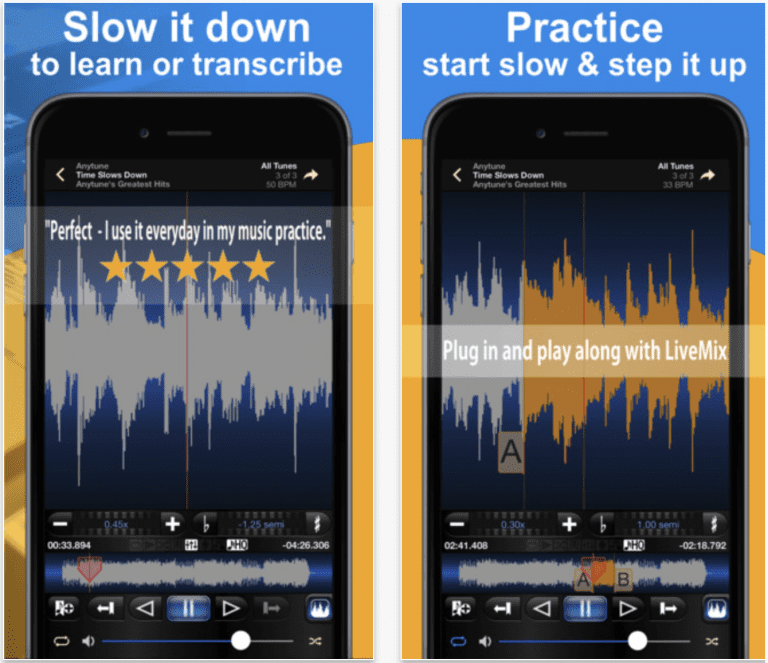 Anytune is an application that allows you to slow down the tempo of a song without changing the pitch of the sound. You can select specific parts of the playback and loop them. Gradually increasing the speed, you will finally learn to play according to the speed of the original recording. Any guitarist who has ever tried to repeat a difficult solo will appreciate the usefulness of such a function. The application is useful for those who want to quickly learn a particular melody, as well as for analysis of complex parts of the composition. 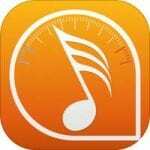 The application allows you to sort the playlist by the artist, the title of songs, albums or by yourself settings. The playback speed and the pitch of the sound can be set independently of each other, or simultaneously. It is possible to create a rhythm loop, as well as a late start function so that the user can return to the instrument and start playing simultaneously with the sounding melody. Who else would benefit from the app? Musicians who need to adjust the pitch of the song. And using LiveMixTM and an audio interface, you can play music in your headphones without disturbing the surrounding people. Singers who learn a new song. The app displays the lyrics of the song as the melody progresses, as well as the ability to have the scroll along to the music. Dancers who learn new moves in the dance. Just slow down the song using the tempo control. Then use Step-it-up interval trainer to gradually increase the speed to the original sound.